Since I was a child, the idea of traveling has always excited me, whether it was trying flaky pastries in a small village in Paris, or walking through the historical entrances of Pompeii, I have always been fascinated by the world and all of the distance that separates us as human beings, and yet, all of the everyday commonalities that unite us. However, I am a deep dreamer, and thinker, constantly wondering, and often doubting, about the next move, step, or leap. Although this may be useful for planning and organizing, I have found that this state of mind can get me into trouble. You see, overthinking can turn your wildest, happiest dreams into a prison of fear, anxiety, and doubt. 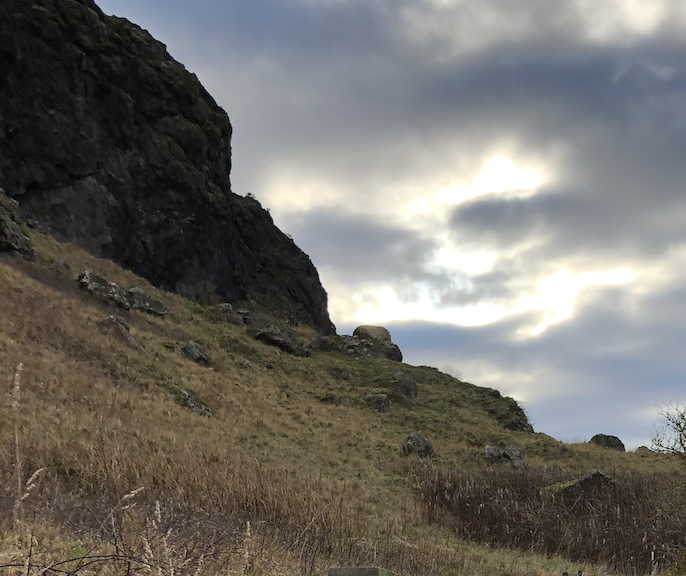 It can lead to a place of certainty, safety, and comfort, but what I have found over the past couple of years is that there is no room for growth, nor learning when set in a box of sameness. See, I enjoy a well rounded routine with a schedule that is almost set to the tee, but I am constantly faced with the decision to break free bit by bit from my comfort zone and face everything that scares me. This includes leaving behind a magical fall school semester, a beautiful city that I call home, and family and friends who have carried me through a tumultuous couple of years. 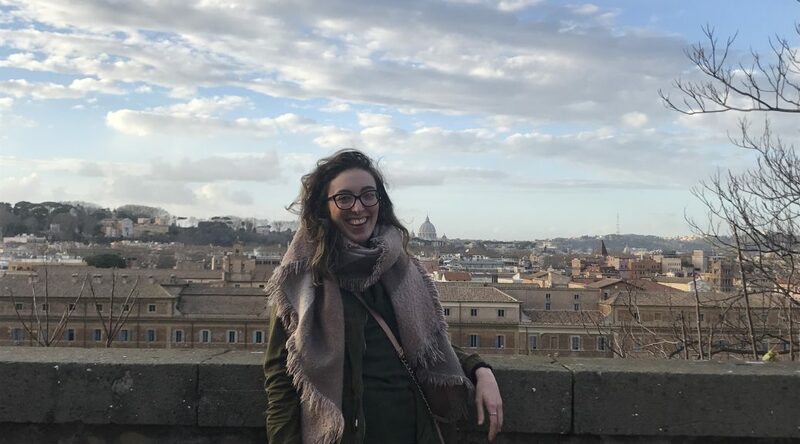 with months of contemplation and discussion with family, friends, advisers, and even strangers at the grocery stores who would jump at the chance to relive, or do over, their study abroad experience in college. However, my decision came only clearly to me through writing, specifically when overlooking the waters of Lake Michigan, watching the sailboats pass back and forth, and the sun hitting the water just right. 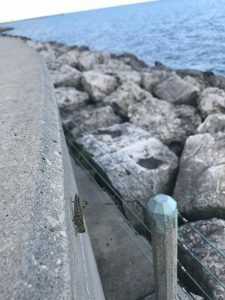 One day, when I was sitting by the water, I turned to the left of me and found a lonely grasshopper. Now, I am known to believe in signs, and I, of course, took this as one. After researching the meaning of grasshoppers, I found that they are representative of jumping forward into the unknown, without jumping backward into the past. Believer or not in signs, I took this grasshopper as a symbol to not be afraid, and to jump as a means of moving forward, of moving towards my greater self. Now, as I sit here writing this at the library in Rome, I look back on that decision making process with sheer joy and gratitude of the journey that got me right here. It has only been two weeks, but over the course of them, I have experienced so much already. The staff of the John Felice Rome Center do an amazing job organizing a jam packed schedule of events for the two weeks of orientation that include four course meals, city walking tours, and even a weekend trip down to the south of Italy full of wine and cheese tastings, and historical site adventures. Of course it has been overwhelming with the amount of new people, new places, new sites, new sounds, new food, new everything, but I have enjoyed the moments of sameness that stretches throughout continents, and cultures. Most of us get stuck in traffic. Most of get caught up at the grocery store deciding which cookies to buy. Most of us run late to work on a Monday. Most of us get irritated when the bus does not come on time. Most of us love the smell of homemade food. Most of us love the comforts of people who love us as much as we do them. As human beings, most of us just want the same things. We all want to be seen, heard, recognized, and loved. A traditional, and universal message I have already found in the short two weeks I have been here. We are all trying to figure it out. We are all trying to make our way. Rome you have already taught me so much and I cannot wait to see what is next. It all hit me when I saw a palm tree rocking back and forth in the wind on the other side of a window at Fiumicino Airport. I thought of previous family vacations and tried to understand where I was, “Am I in Florida?” But I quickly nixed that thought as I worked through it in my mind. “This could not be Florida, there was a TV on the flight, I watched two whole movies and was served oddly sweet chicken teriyaki from a tin container.” This was no ordinary family vacation, this was going to be a journey, a five month journey to be exact. This was not a tourist-ridden resort town, oh no, this was Roma. Roma and its overwhelming beauty and grand scale hit me hard on the first night. 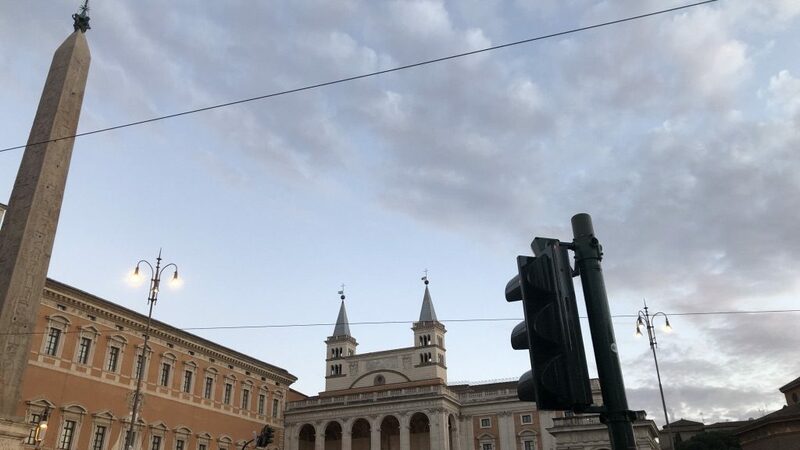 Fighting feelings of intense jet lag and the urge to put on pajamas, I ventured out with a group to The Vatican for a taste of our new home, and also gelato. With a cup of hazelnut gelato in hand, I walked up the street, the light glowing off the damp cobblestone. 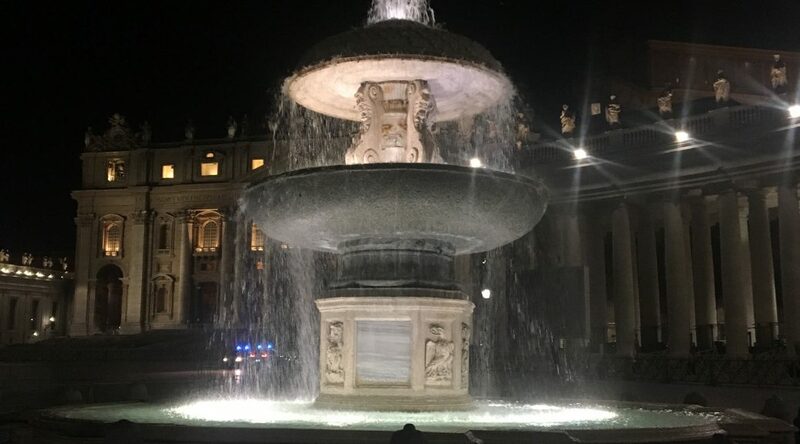 There on the top of the hill was a curve of columns, illuminated fountains and the wonder that is St. Peter’s Basilica all lit up. In that moment I forgot about how much my eyes wanted sleep, and instead, opened them wide to absorb every inch of beauty that surrounded me. Now looking back on this first night, I smile with nostalgia, as if it were a memory from long ago. I’ve been here for seven days now and it feels impossible to me that I once didn’t fully know beauty of Rome. I’ve now seen the Pantheon, the Trevi Fountain, the Colosseum and Villa Farnese but I’ve also sipped on a cappuccino from a beautiful coffee bar in the Trastevere neighborhood and enjoyed aperitivo before dinner in Monti. Even in the simple things, Rome seems to take my breath away. I don’t think I’ll get it back for five months. When I left Chicago a lot was going through my mind. I was going to a country that I had never been to before, and one that not very many American students wanted to study abroad in, at least compared to places in Western Europe. After the fourteen hour long flight was finally over the plane landed at about 4 PM Beijing time. After a long taxiing to the gate I got off and walked to customs, and then baggage, and then out to meet the kind people who would be taking me and the twelve other students who arrived that evening to the University of International Business and Economics, the University where The Beijing Center was located. It was only a twenty-five minute drive and finally we had arrived to the school we had up until now only seen photos and videos of. The campus is massive, the size of a small town in fact. We were all given maps along with instructions on how to use WiFi and other utilities that would be necessary for daily life. After everyone finally got to their rooms and settled in a bit, we woke up bright and early for orientation. Orientation lasted for a full four days and covered topics that ranged from how the classes would be structured to how to live life and get necessities in Beijing. During those four days there were also optional excursions one could go on with the group. For example, the third night virtually everyone went to downtown Beijing to see an acrobatics show and stop by a very nice mall along the way. 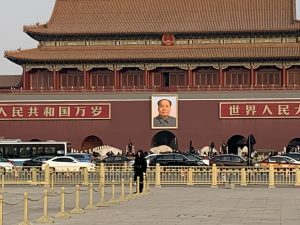 The trip was also a good chance for anyone who was unfamiliar with using the Beijing subway system to learn how to use it. The experiences that were afforded to all TBC students were very effective at getting everyone accustomed to life in Beijing. After we went on one last trip as a group to Tienanmen square and the forbidden city, our classes began. Classes at TBC are much like classes at Loyola, except they typically contain about a fifth of the regular amount of students. My entrepreneurship course consisted only of me, two Colombian women, the professor, and his wife for the first class. The experience is a lot more intimate than classes that have fifty or more people. These amazingly small class sizes make you feel like you’re at a small private school rather than a large school like Loyola. After the first week of class was finally over it was nice to have what felt like an actual break. The first two weeks of my time in Beijing were filled with fun, new experiences, trying new foods, and an interesting bathroom in which the shower, toilet, and sink share the same space, which is nice because it’s now very easy for me to clean the bathroom. I’m excited for what’s to come and will keep everyone who reads this blog posted. If anybody reading this has any questions about The Beijing Center, please feel free to leave a comment down below, or email me at fzigic@luc.edu.